The government has made quite a few changes in income tax provisions from financial year 2017-18. These changes will impact some taxpayers positively while others negatively. 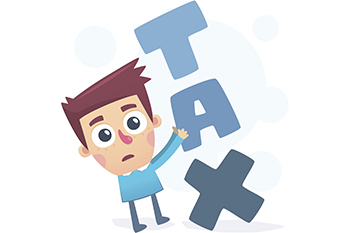 Tax slab: The tax rate for income slab of Rs 2.5 lakh to Rs 5 lakh has been brought down from 10% to 5%. Due to this, for taxpayers whose income is less than Rs 3.50 lakh, the rebate available would be Rs 2,500. Earlier, a rebate of Rs 5,000 was available for an income upto Rs 5 lakh. Surcharge: A taxpayer whose income exceeds Rs 50 lakh but less than Rs 1 crore would now be liable to pay surcharge of 10% on the income tax. The surcharge rate for taxpayer whose income exceeds Rs 1 crore remains at 15%. Set off of loss from house property: The maximum amount for set off of loss from house property has been limited to Rs 2 lakh under ‘other income heads’. Hence, any loss exceeding Rs 2 lakh (after adjusting mortgage interest) can be carried forward and deduction available will be available only under the head of house property and no other head. Revision of tax returns: Tax returns can be revised within a period of one year from the end of the financial year. Earlier, the returns could be revised within two years. Penalty for late filing of returns: Late filing of IT return would attract a penalty of Rs 5,000 if the return is filed by December and Rs 10,000 if it is filed by March of the assessment year. Base year indexation: The base year for properties acquired before April 1, 2001 has been revised from the earlier April 1, 1981 to April 1, 2001 for the purpose of calculating indexed cost of acquisition. This change will help reduce long term capital gains on sale of the property. Reduction in period of long term capital gains: The period for consideration of long term capital gain on immovable property has been reduced from 3 years to 2 years. As a result, long term losses on such assets may not be possible to be set off due to the short term period.